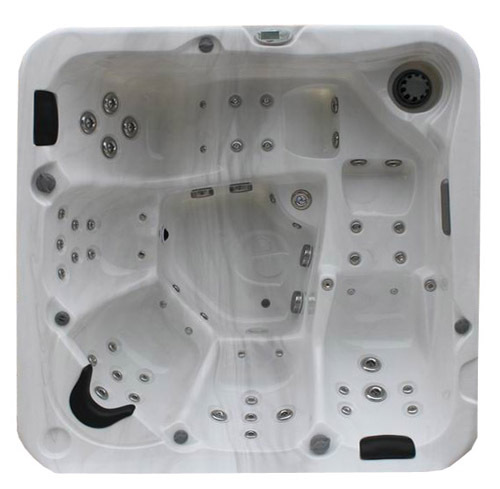 20 double rotating jets 2"
6 double rotating jets 2,5"
2 single rotating jets 3"
4 dubbel rotating jets 3"
2 single rotating jets 4"
5 double rotating jets 4"
Logo Evolution in bottom of the spa ! 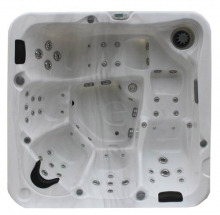 Acrylic shells of Evolution spas are equiped with vinyl ester of Akzo Nobel. Vinyl ester kind of melt with the acrylic for the best adhesion.